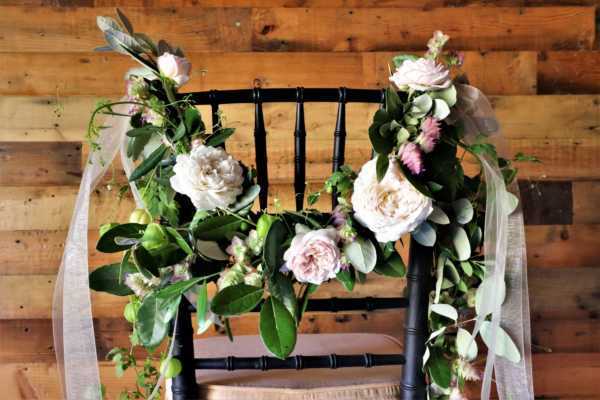 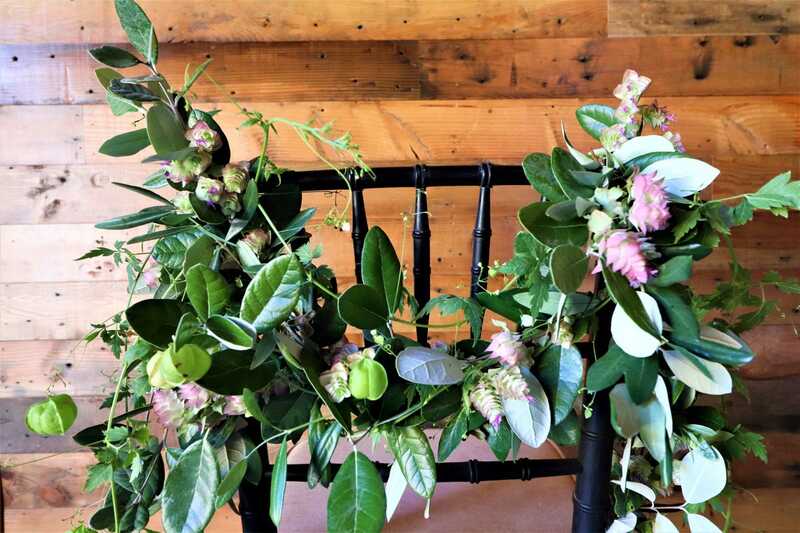 Create your very own floral chair garland for whatever occasion you wish, whether it’s a bridal shower, wedding, or even a birthday this is the best DIY for you. 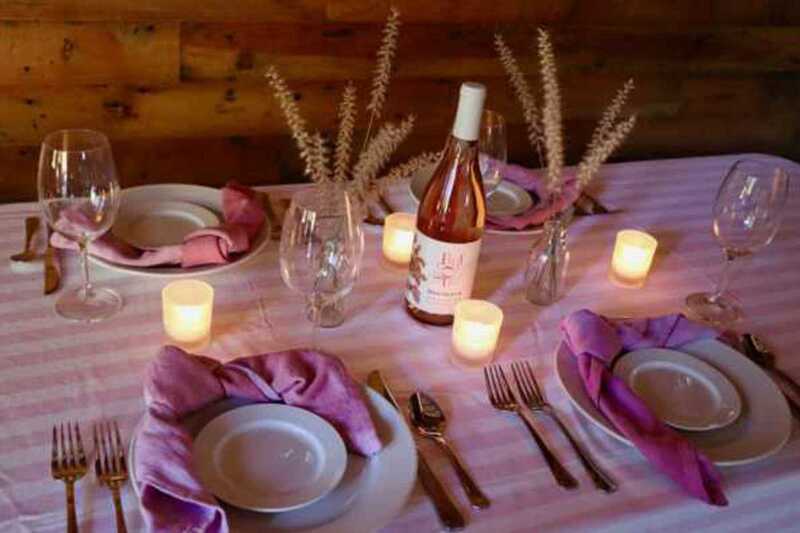 A chair garland is a perfect detail that adds elegance to any chair, making it an essential decoration for any party. 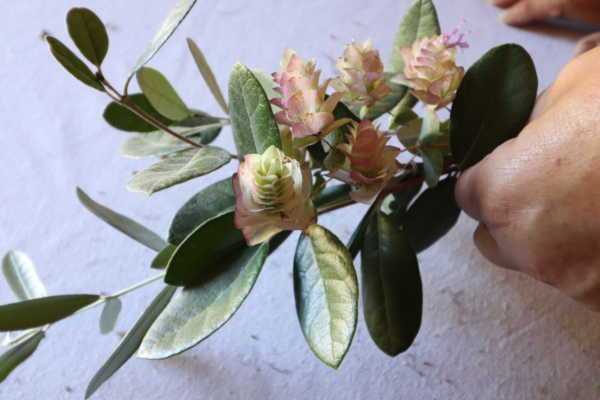 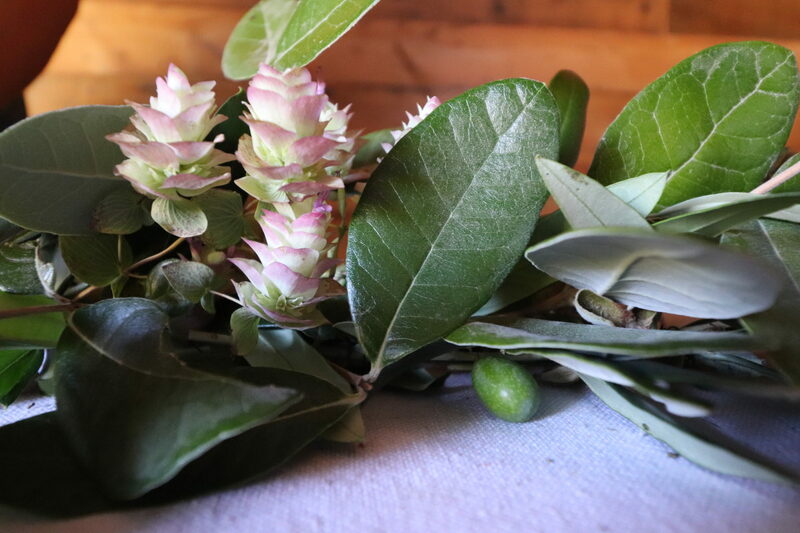 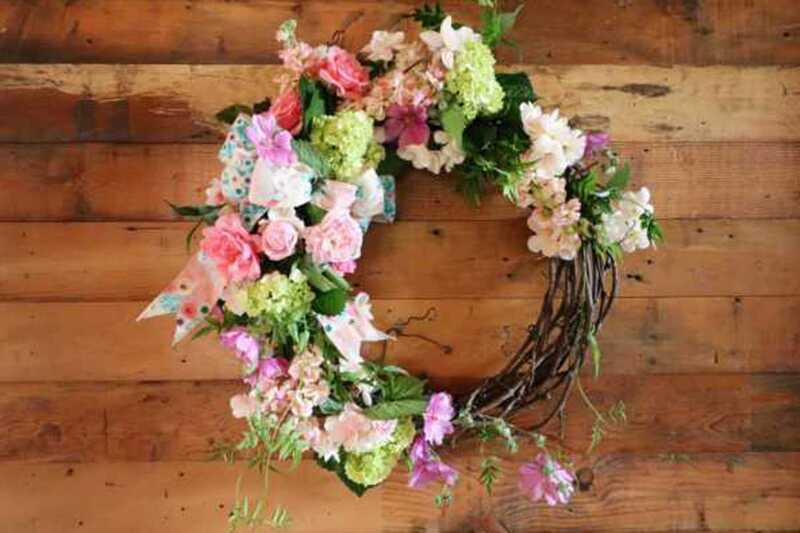 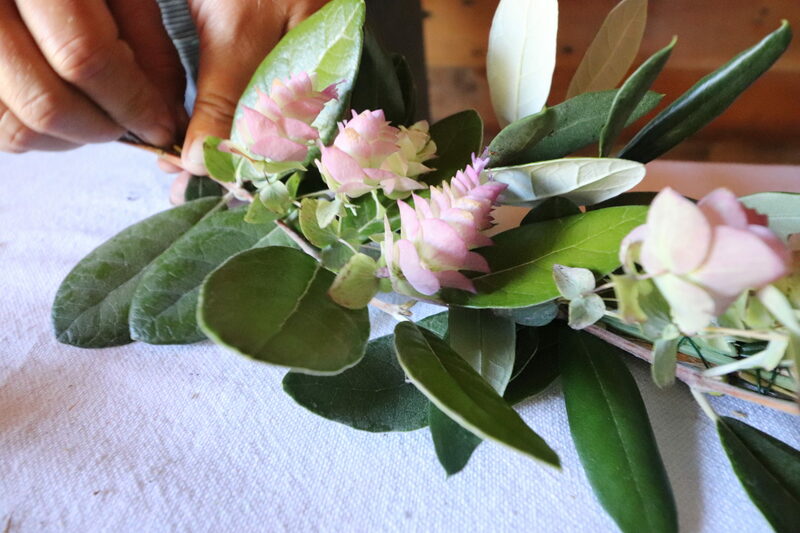 Celebrate and enjoy making this simple and classic floral garland. Step 1: Measure the wire on the chair to get your desired length and cut. 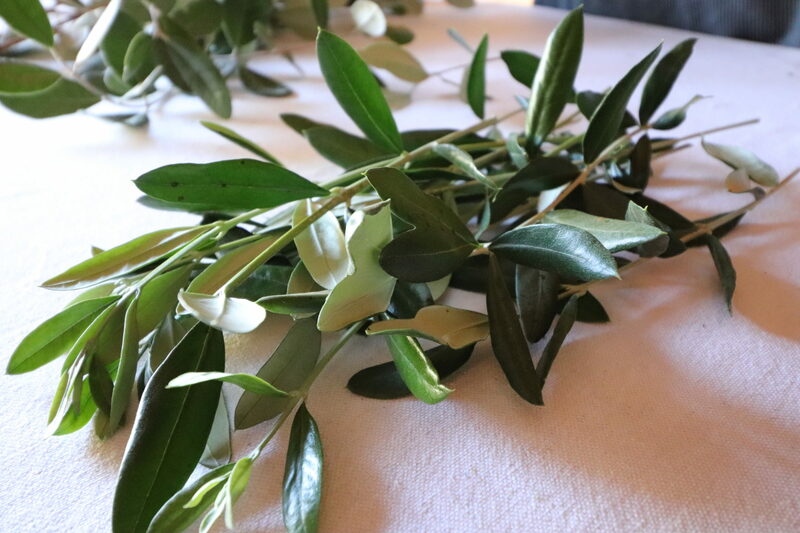 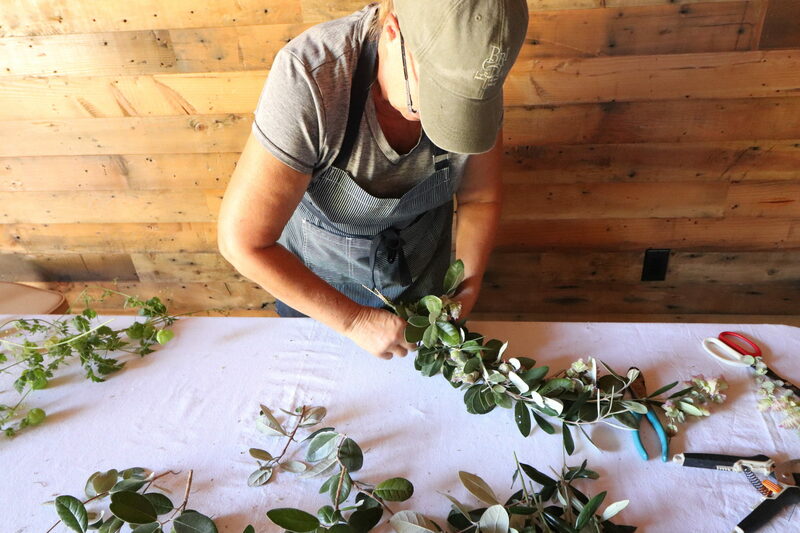 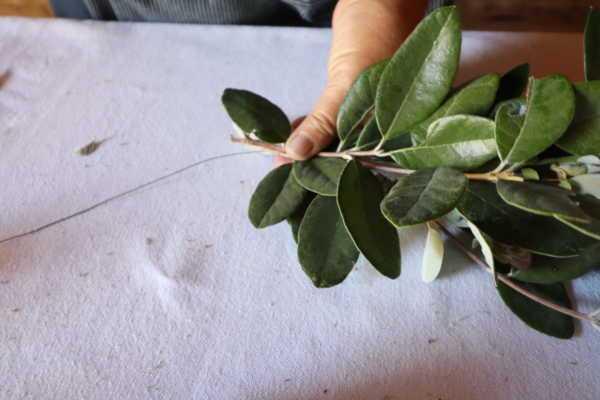 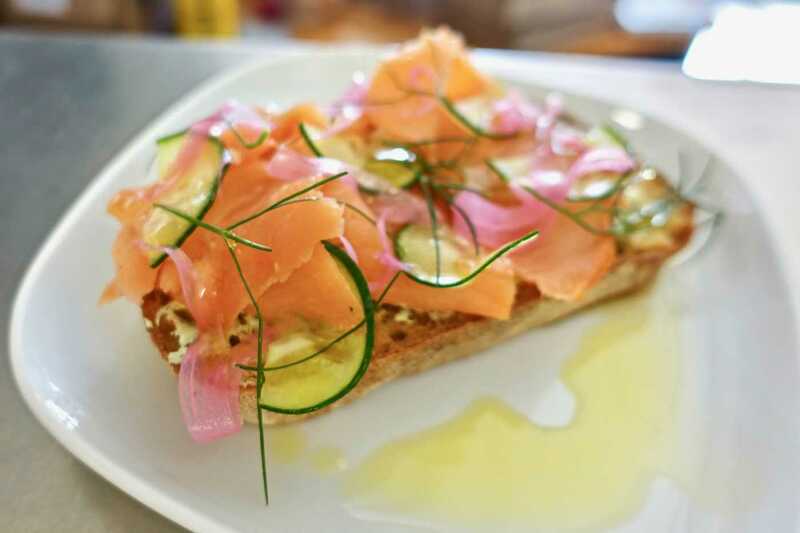 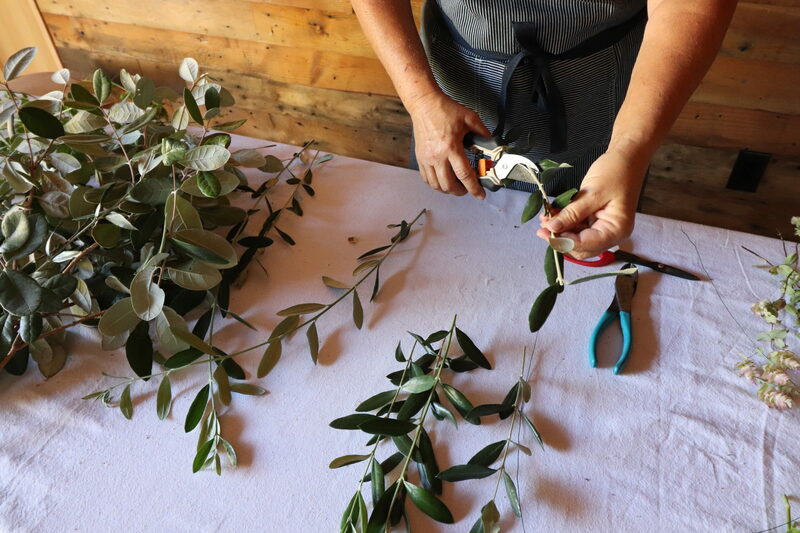 Step 2: Cut the olive branches into small pieces. This makes them easier to work with. 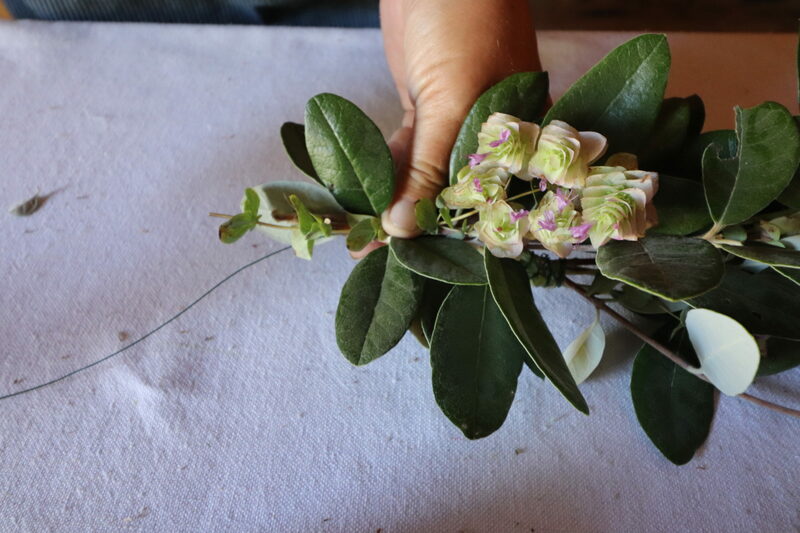 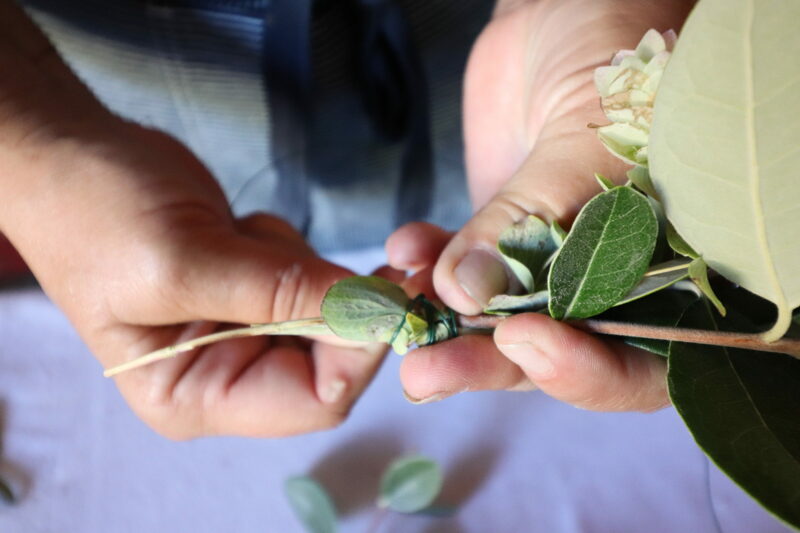 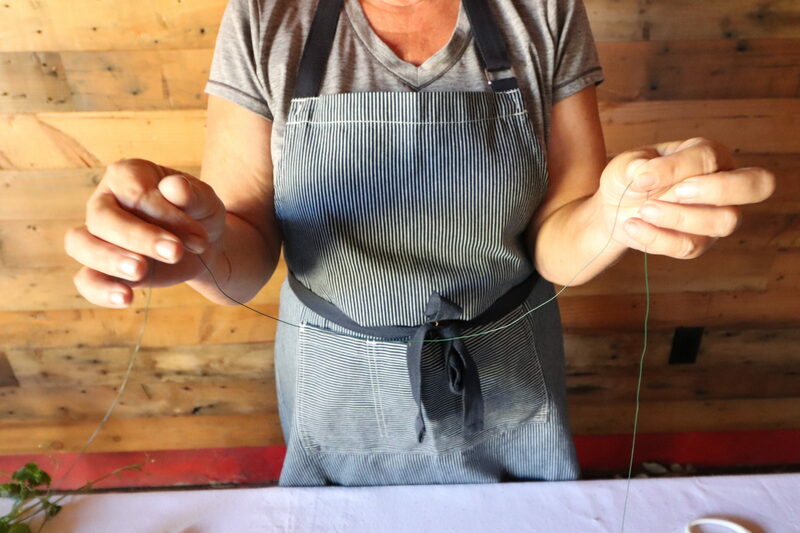 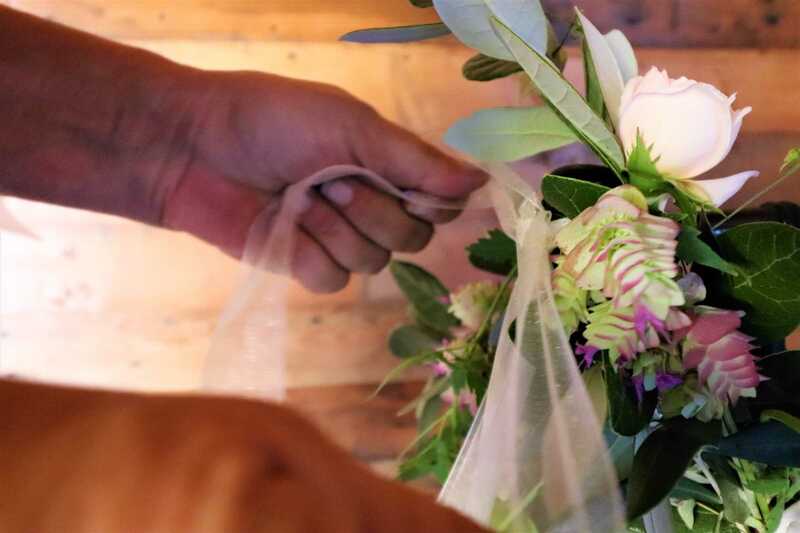 Step 3: Start to form the garland by securing the greenery on the floral wire. 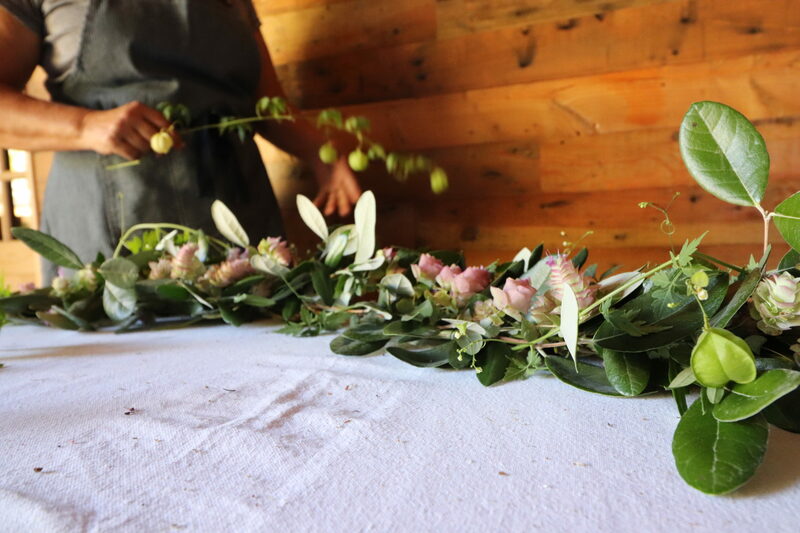 Step 4: Keep adding greenery to create a full and lush garland. 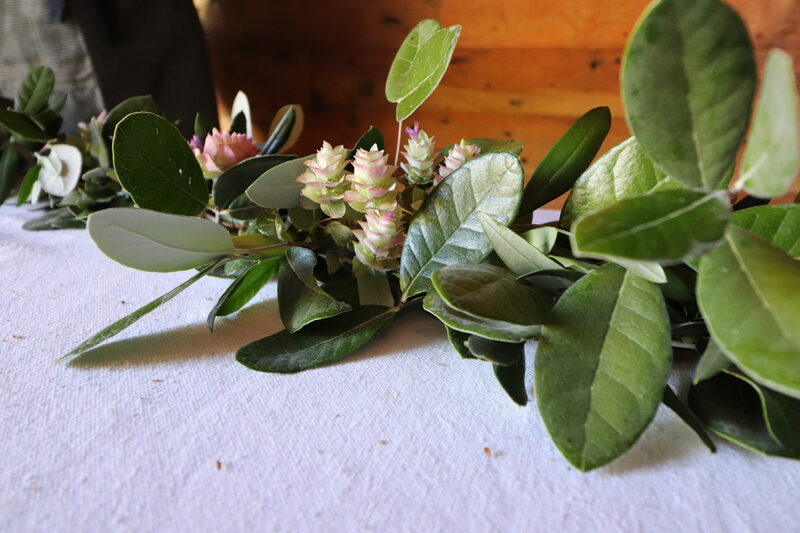 Step 5: Add the oregano as you go and secure with wire and floral tape. Step 6: Once you finish with the greenery and oregano, add the Love in the Puff vine. 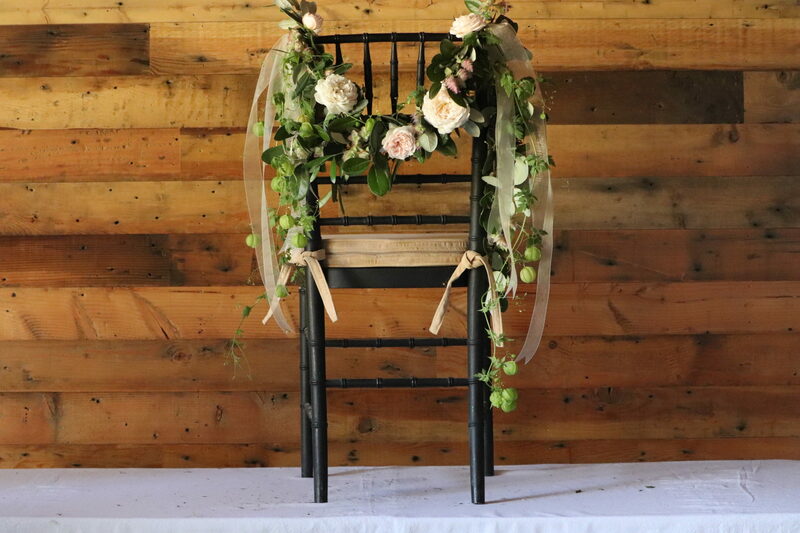 Step 7: Hang the garland on the chair and position it to your liking. 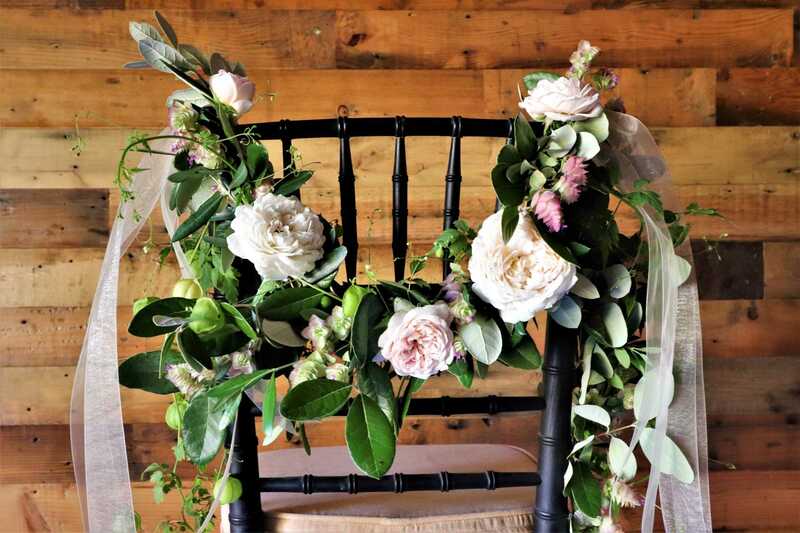 We let one side of the garland drape down longer than the other. 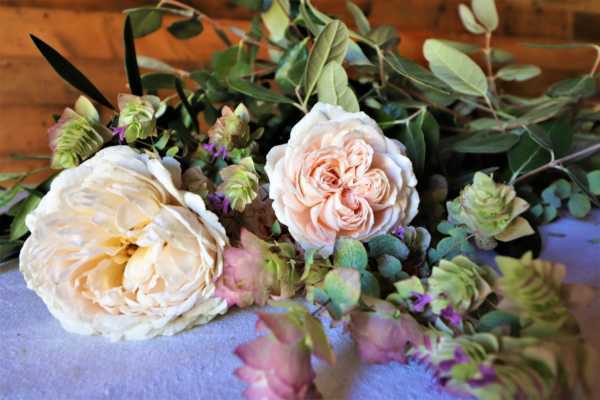 This will also help you see where you need to add the roses. 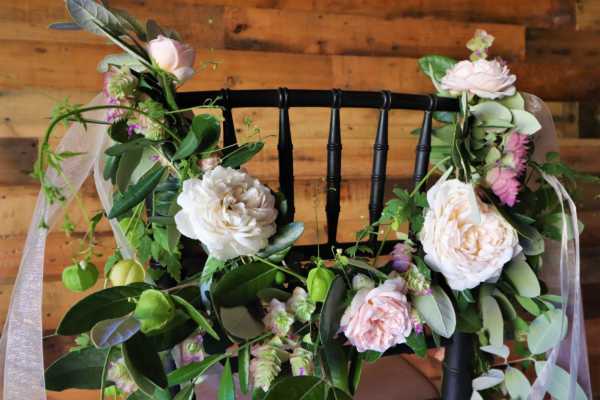 Step 8: Add the pink and white roses to the garland and secure them with wire. 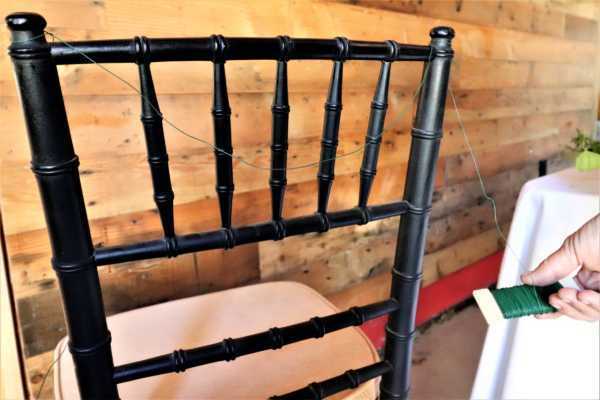 Step 9: Tie the sheer ribbon on each side of the top of the chair. 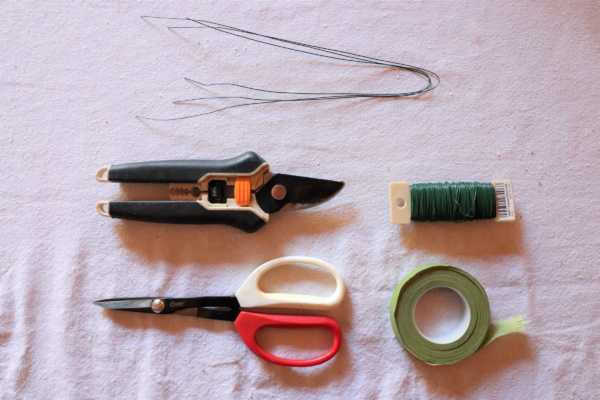 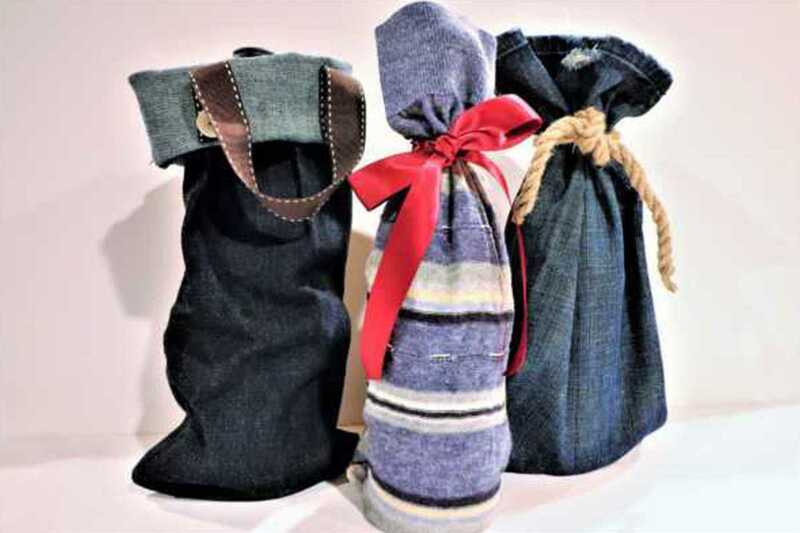 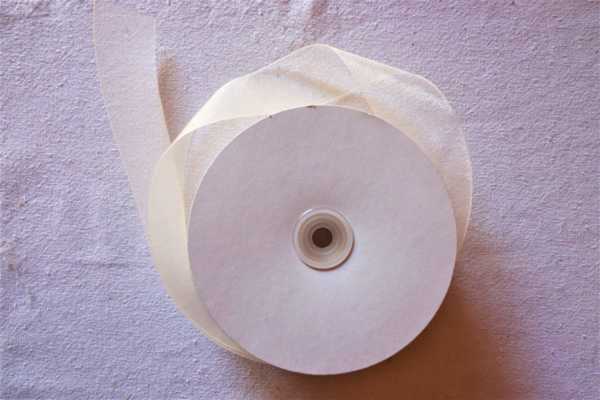 Step 10: Cut the bottoms of the ribbons to complete the elegant look.